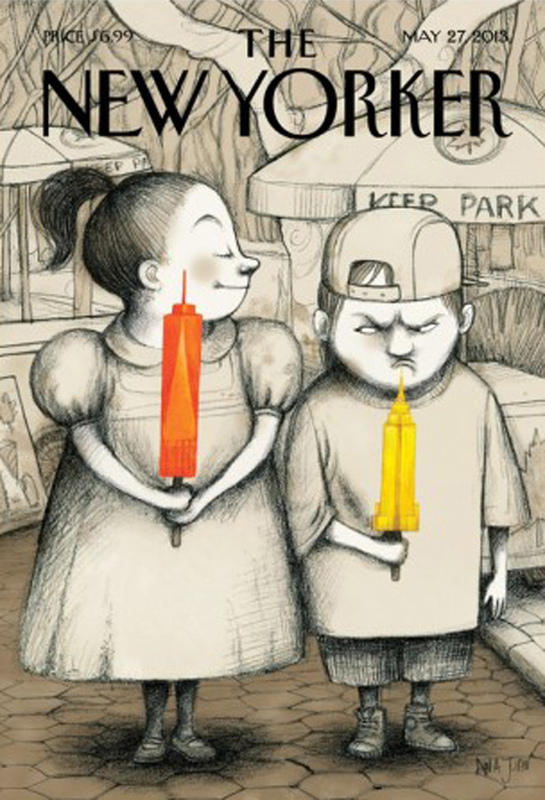 Cover artwork on the current issue of The New Yorker features two children, perhaps siblings, holding Popsicles in the shape of buildings. I wonder if some enterprising ice cream maker will really produce such a monumental summer treat? 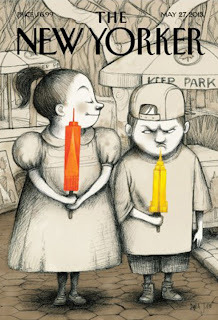 Can you guess what the artist is trying to say? Sibling rivalry? New versus old architecture? Give it your best shot via the 'Comments' link, below.